Easy for experienced users. Overwhelming for basic users. 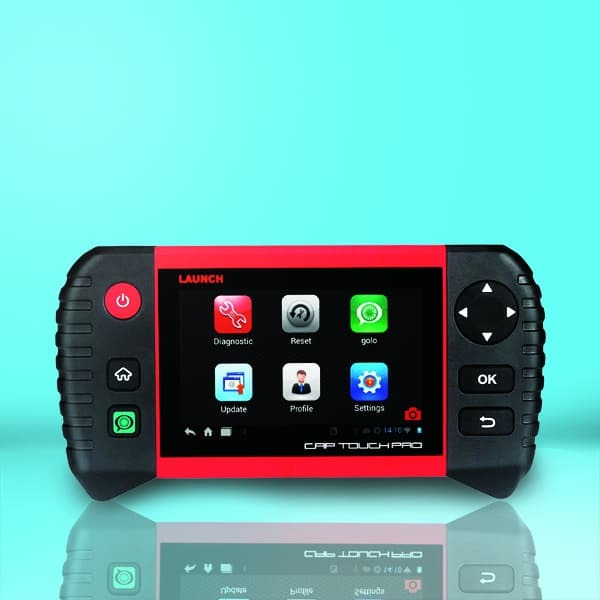 This review of the LAUNCH CRP Touch Pro scanner gives you all the information you need to make an informed choice in a car scanner. There is a lot of scanner information out there, but we have taken the key features and functions so that you get all of the relevant details without the disinformation. We cover the important points and get rid of the fluff. By the time you get to our summary, you will know if this product is right for you. This is a powerful tool which can help you diagnose many codes, clear them, and fix them. This device can be used on almost any vehicle after 1996. In fact, you will be hard pressed to find a vehicle which it cannot diagnose. When it comes to diagnosing problems, this scanner gives you more detail and tools than others. Not only can you diagnose the problem, but you can connect via Wi-Fi to find relevant fixes. With a large touchscreen and graphical display, this device wields a lot of power but gives it to you in a way which you can understand. This is for users who want to fix their own vehicles and not just diagnose them. This scanner will set you back a few hundred dollars. If you are looking for a scanner which will help you to turn off the check engine light, then this is not the scanner for you. If you want to know the ins and outs of your vehicle and be able to fix the problems by yourself, then this powerful tool will help you to do that. Out of the box, you have the scanner itself, a detailed instruction manual which has everything you need to get your scanner up and running, a nylon carrying case to protect the device, a diagnostic cable, a USB cable, and a power adaptor. You have software pre-loaded on the device and can easily update that software through a Wi-Fi connection. This scanner will diagnose your entire system. You can work on all parts of your electronic systems to read and clear codes, taking advantage of live data. The electronic engine control system can enhance your vehicle performance, save energy, reduce emissions, and control everything else. The device requires an investment, but it will save you a lot of money in the long run. There are a lot of useful reset functions which you get with this device. You can reset and turn off the oil service light, reset the SAS, reset the temperature in the exhaust, record the battery status, and reset the electronic parking brake. Along with resetting the electronic parking brake, you can also deactivate and activate the system, bleed the brake fluid, open and close the brake pads, and set the brakes. This device gives you almost worldwide coverage. Vehicles in North America, Asia, and Europe are supported. We also like the Wi-Fi connection which allows you to update the software and have access to the latest bug fixes. With a one-click update, you can update your system easily. This is a powerful tool. If you have the money to purchase it, then we would recommend that you do but only if you are going to use the power of the device. 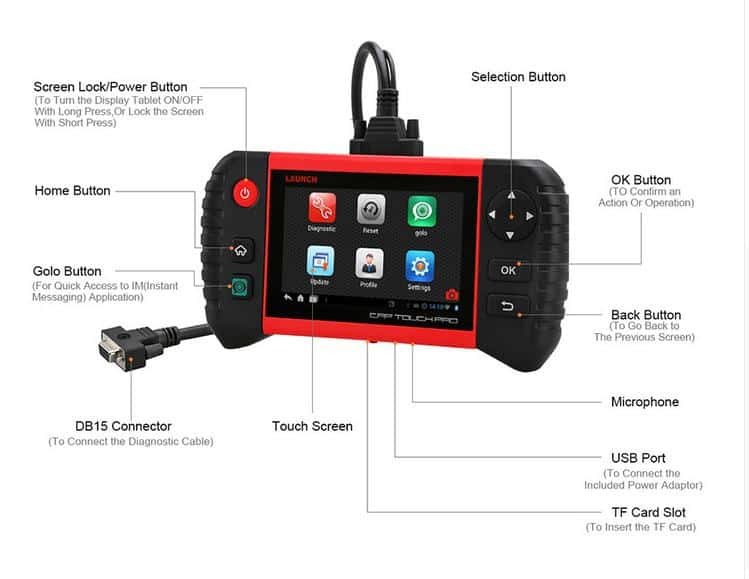 This would be a great device for anyone running a shop who needs to diagnose and repair multiple vehicles. If you have mechanical knowledge, then you can use this device to help you repair your own vehicle and save more money than the scanner costs. If you are only doing basic checks, then this device is overkill, and you are paying too much. The functionality of this device is well above most on the market.